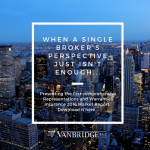 Vanbridge LLC is pleased to announce the addition of Beazley USA to our SiX platform, a suite of insurance solutions specifically designed for alternative asset managers. Over the last six years, the program has grown to insure over 1,000 Private Equity and Venture backed companies sponsored by 120 different funds. The exponential growth of the platform necessitated the addition of a fifth market. Beazley USA joins the other participating markets which currently include Arch, Axis, Chubb and Ironshore. The SiX platform provides Private Equity and Venture Capital backed companies with D&O, Employment Practices and Fiduciary coverage on a proprietary policy form which is accepted by all of the different insurance carriers. This approach eliminates the ambiguity caused by each carrier using their own policy wording and provides the comfort of consistency by effectively eliminating these coverage nuances that are typical when selecting between different carriers. 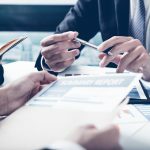 For Private Equity and Venture Funds who can own and sit on the Boards of dozens of companies, getting a tailored and consistent form is a huge advantage. If you would like to get a quote for your client, please contact Scott Guiliana at [email protected] or 646.572.9370.